Our products and service fulfil the needs of the most demanding customers whilst meeting the price expectations of the market. Our response time is short, our minimum order quantities are small, and our pre-press costs are low. We supply packaging materials to the most exacting standards. All our production sites are accredited with ISO 9001 and our team consists of experienced food technology and packaging technology professionals. 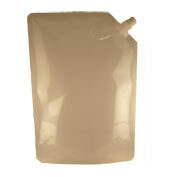 For all types of pouches, bags and packaging films we have the solution to suit your process, product and customers. We surpass all presentation standards with our 10 colour roto-gravure and flexographic printing technologies. In line with our very specific focus we advise and support our customers with a full range of packaging equipment and contract packing services. Our goal is to satisfy our customers - 100%, every time.